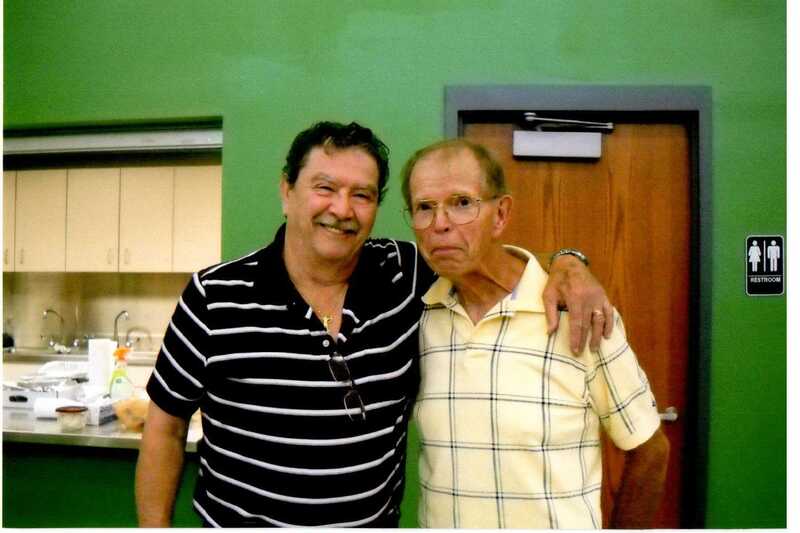 Dinner was held Saturday August 30th at the Petersburg Community Center in Petersburg, KY to honor the Past Masters and Widows of Elvin E. Helms Lodge. The approximately 50 in attendance enjoyed a buffet dinner prepared by the Brothers of the Lodge. After dinner several presentations and recognitions were made. 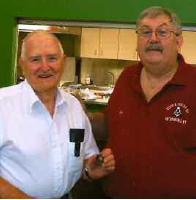 Master Dan Kemble (left) presented Brother Donald E. Davidson (right) with his 50 Year Service Pin and Gold Card. 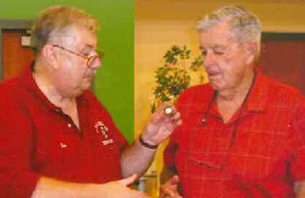 Master Dan Kemble (right) presented Brother Alfred E. McWethy (left) with his 65 Year Service Pin. 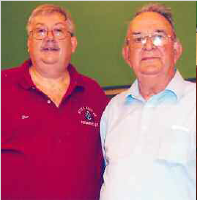 Master Dan Kemble (left) presented Brother William R. Bailey (right) with his 60 Year Service Pin. 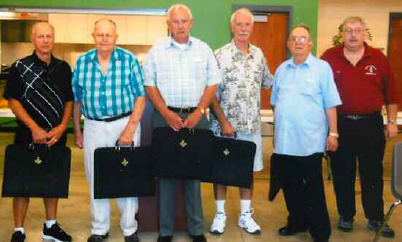 Master Dan Kemble presented Brothers Donnie Barger, Albert Collier, Robert Kinser, Ronald Schroeder, and Donald Davidson each with a Past Masters Apron and carrying case. Brother Ernie Stratton smiles for the camera. 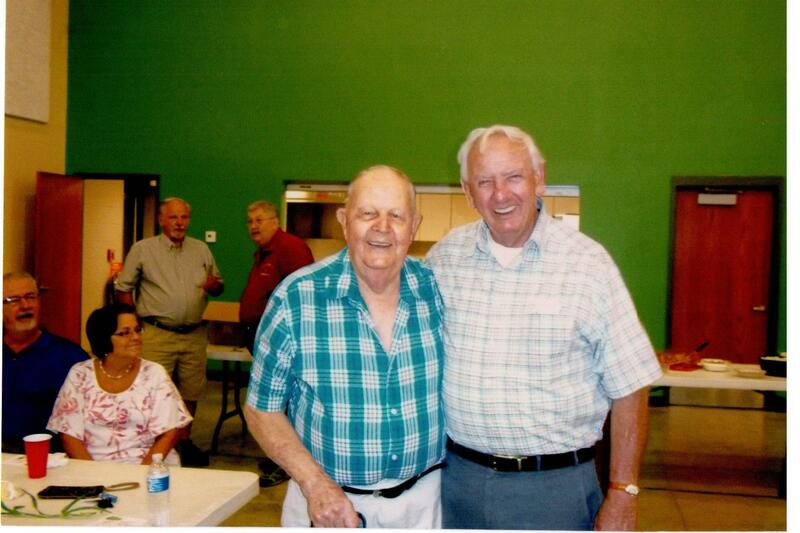 Brother Buddy Wallace and Brother Ernie Stratton share a brotherly moment. Notice that Brother Ernie is no longer smiling. Brothers Al Collier and Mel Kinser share a laugh.